Possibly the cutest face ever! 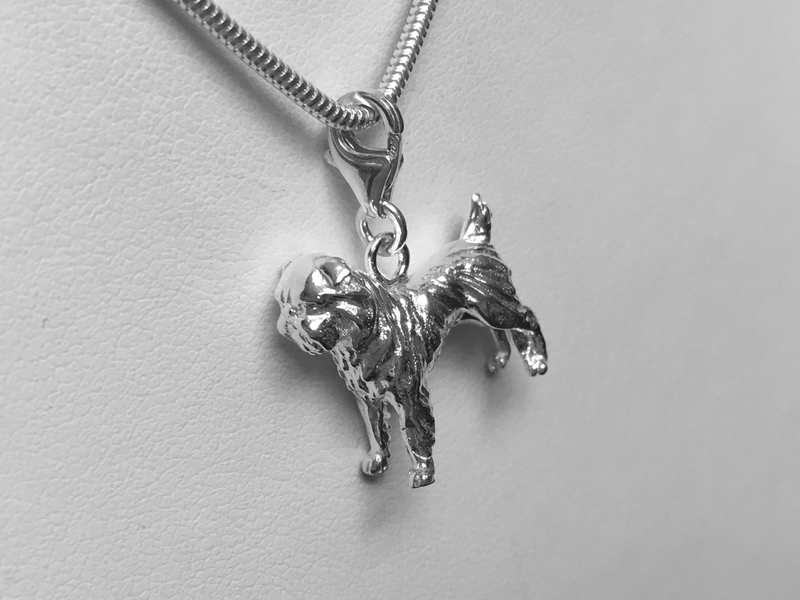 Here is our truly stunning sterling silver Griffon Bruxellois charm. It is solid and well built and is just simply adorable! 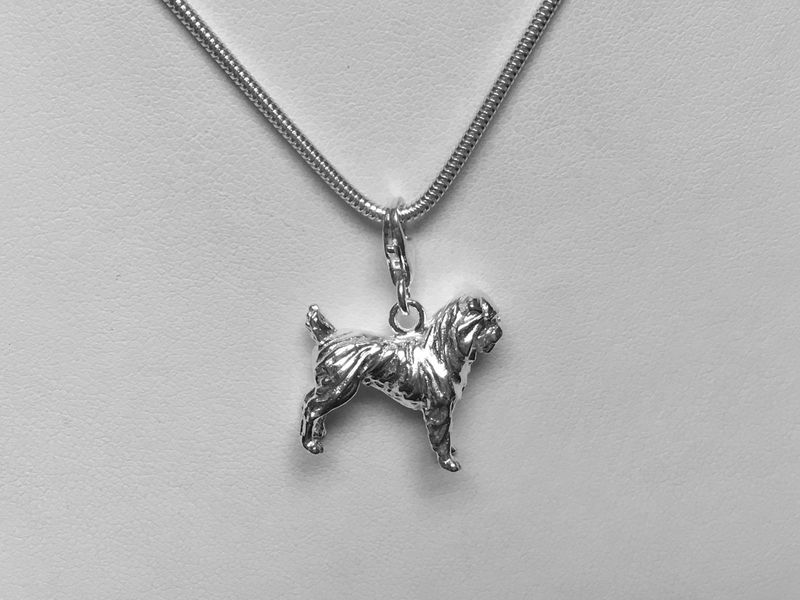 We have worked hard to get the details of their beautiful little face making this charm the most detailed piece of Griffon jewellery around. 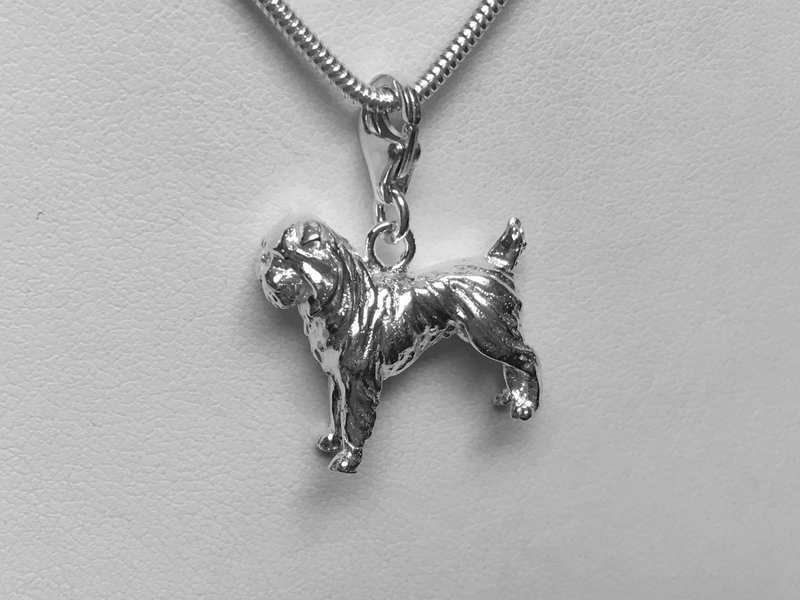 All of our charms are designed and manufactured here in the UK. 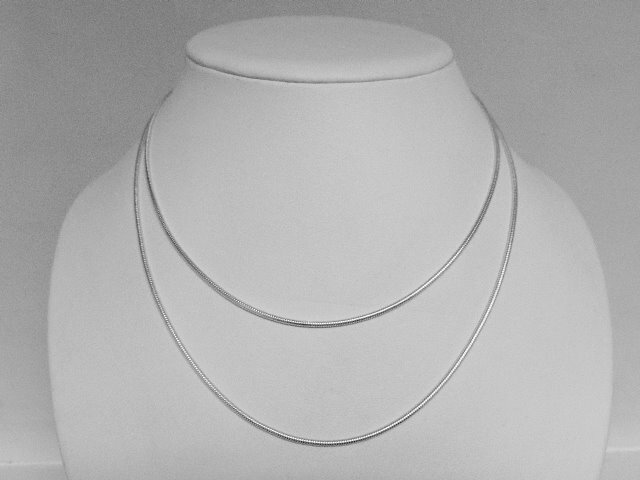 So when you buy jewellery from us you can rest assured it is made from the highest quality sterling silver. 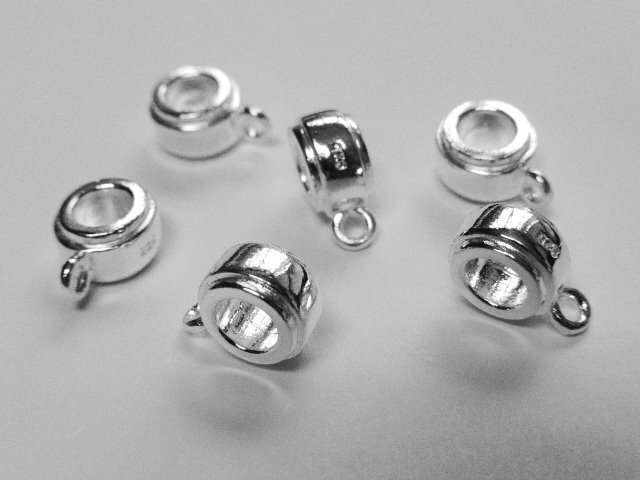 Our superbly skilled silversmiths finish, polish and inspect each charm before they let it leave their workshop. 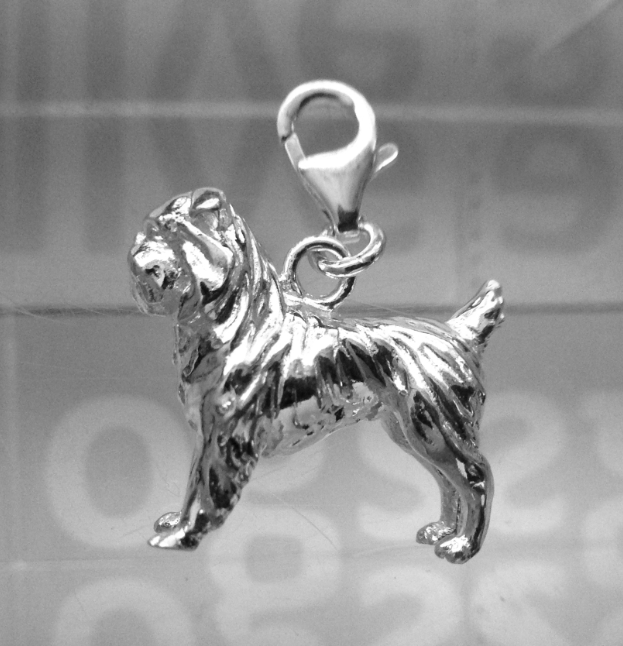 Our Griffon charm and solid and fully dimensional. You can stand it on a table top and view it from every angle to really appreciate it's quality. We don't make flat or hollow charms. Ours are the perfect weight to feel nice and heavy yet light enough to be worn on your wrist all day. 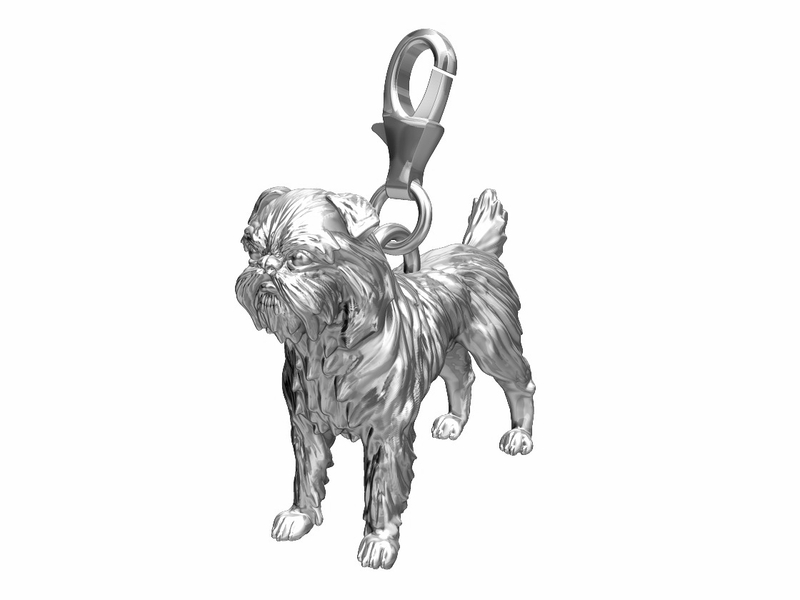 This is the most perfect gift for any Griffon Bruxellois owner or treat for yourself. Why not combine it with our beautiful paw print or bone charm bracelet. Bracelet Style: Any link bracelet or a snake bracelet with a carrier bead.